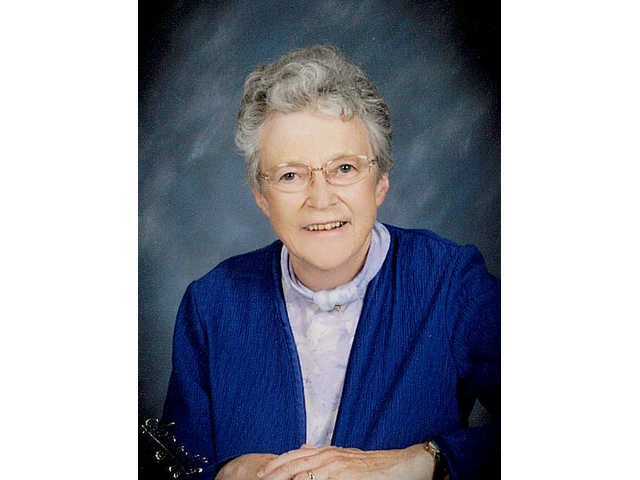 POSTED April 9, 2019 5:51 p.m.
Buena Ruby (Eng) Anderson died on Sunday, April 7, 2019, in Richland Center. Funeral services will be held at 11:00 a.m. on Saturday, April 13, at Five Points Lutheran Church, with burial to follow in the Five Points Cemetery. Visitation will be held at Pratt Memorial Chapel on Friday, April 12, from 4:00-7:00 p.m. and again at Five Points Lutheran Church on Saturday, April 13, from 10:00 a.m. until the time of service at 11:00 a.m. In lieu of flowers, the family suggests that memorials be made to Five Points Lutheran Church, 25925 Five Points Dr., Blue River, WI 53518 or Richland County 4-H Leaders Association, 4-H clothing scholarship, 1000 Hwy. 14 West, Richland Center, WI 53581. The Pratt Funeral and Cremation Service is assisting the family with arrangements. Online condolences may be made at prattfuneralservice.com.